» North Face Recon vs Borealis in 2019 – Which is the Better Backpack? North Face Recon vs Borealis in 2019 – Which is the Better Backpack? Looking for a new versatile bag with the qualities of a daypack and the durability of a backpack? Two great choices are The North Face’s Recon and Borealis. 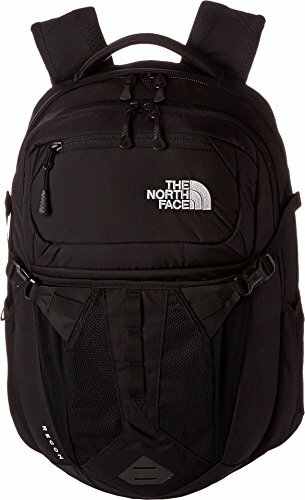 Both backpacks are true to TNF’s quality reputation and both have 5-star ratings. Add in the fact they look fairly similar and are only priced with a $10 difference can make choosing one over the other tricky. If you aren’t sure which is the best bag for you, consider the following information. If you need a multi-day backpack, definitely go with the more technical Recon available here. However, if you just need a durable daypack, go with the Borealis available here. Iconic style, suitable for any sport or activity. The Recon is designed to help users keep all their gear organized while navigating, whether that is navigating a new trail or navigating a college campus. It is a 31-liter daypack that has an impressive suspension system, both laptop and tablet sleeves, as well as a hydration sleeve with port. Combined with some very useful pockets and you have a flexible, useful bag. 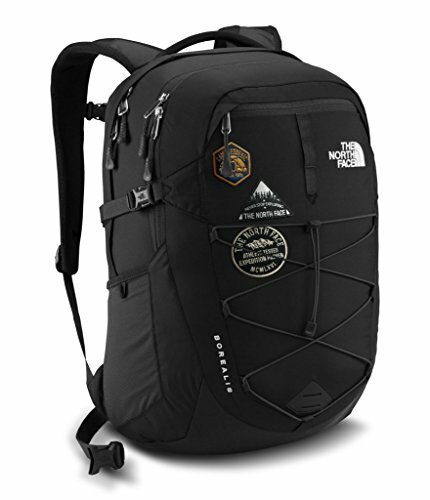 The Recon has a 5-star rating on TNF’s website with a negative review is rarely found. Overall the Recon is a very iconic style of backpack suitable for practically any sport or activity. The design of the Borealis is all about the user being able to pack their back quickly and get out into the world. It is a classy 28-liter daypack that offers plenty of shoulder and hip belt support, along with plenty of space for your tech. It has the typical stretchy water bottle pockets, but also the additional of a practical and flexible bungee cord front panel. The Borealis also has a 5-star rating on TNF’s website with a negative review is rarely found. In terms of appearance, it is a bit of a more sporty daypack that looks performs great in any setting. When it comes to comparison shopping your best bet is to see what similarities and differences each product has. Here are a few of the similarities between the Recon and the Borealis. Firstly, both the Recon and the Borealis are made very well, which isn’t surprising as they are TNF products. Though exact fabric differs slightly between colors and patterns, overall both bags are basically made of the same denier nylons or polyesters. They are stitched together well, have quality zipper hardware, and are built to last. The Recon and Borealis backpacks are comfortable to wear, even for long periods of time, as long as they are not overloaded with gear. Both have nicely padded shoulder straps and a removable hip belt. The addition of a hip belt is great for outdoor excursions and will keep either bag snug against your back during the majority of activities. Also, as both backpacks can carry laptops there is also a padded mesh back panel. As mentioned, both the Recon and the Borealis have space for up to a 15″ laptop as well as an additional padded tablet sleeve in the front of the backpack. Both spaces are protected with padding as well as fleece. Individual pockets vary between the two (more on that below) but they do have the similarity of having useful external pockets. Most importantly they have classic mesh stretchy side pockets for water bottles and other beverages. If you tend to be out and about at dusk or at night you’ll appreciate the reflective bike loops stitched onto both of these bags. The Recon and Borealis both have compression straps located on the sides and bottoms of the bags. After loading up your gear simply tighten the straps down and you’ll find it keep your load stable. This is very important on hikes or during high motion activities like cycling. These backpacks are both highly versatile in design. They can be used for traveling, casually, as a gym or school bag, and taken out on the trail. 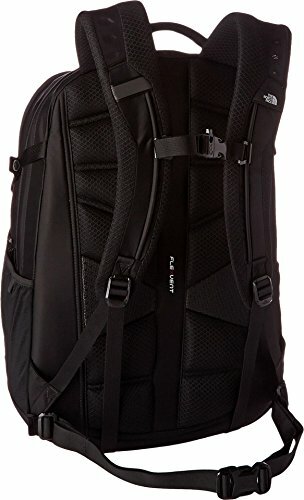 If you want a daypack for hikes but one that is going to be just as tough a real backpacking style of bag, either will work in that capacity. With the positives out of the way, here are a few things that set these backpacks apart. The Recon weighs less than the Borealis and even has slightly small dimensions, but it holds more in terms of volume. The Recon has a total space of 31 liters while the Borealis has a 28-liter capacity. Though the difference is slight it can make a difference for backpackers that might find the extra $10 to be worth the extra 3-liter capacity. Though it isn’t the most important thing, color options are still worth considering. The Borealis seems to have been designed for overall versatility in both outdoor and casual settings, which is reflected in its vast 22 color range. The Recon is more of your typical outdoor backpack with a much more modest choice of 8 colors and patterns. The Borealis has a great bungee cord strapping system across the front panel. This is somewhat like a pocket alternative. While you can’t store small items in it you can perhaps stuff a thin rain shell under the cords or hang trekking poles from it. The Recon as a useful front pocket that is easy to access and great for storing small items you want to grab without having to open the backpack up. This stash pocket is actually quite large, allowing you to stuff a raincoat or other piece of bulky gear in it. Though it isn’t protected from rain, this is still a very nice feature for hikers. When deciding between the Recon or the Borealis is really comes down to personal taste but breaking it down into three main categories can you help you make a choice if you’re stuck. The Recon is the more desirable choice if you want a technical or more advanced backpack. It is designed more with outdoor purposes in mind whereas the Borealis can easily be a casual-use backpack (more like a daypack). The Recon has 3 liters of more storage space than the Borealis as well, which adds up to quite a bit of extra room. Additionally, the different pockets, such as the stretchy front stash pocket, and the external top pocket are very useful. Small touches, such as the fleece lining in the top lid, help protect fragile devices and really just shows TNF’s attention to detail. For only being $10 more, you’ll get the most bang for your buck with the Recon. On the other hand, if you want to keep the price under $90 and you’re liking for more a durable daypack rather than a technical backpack, chances are high you’ll be very pleased with the Borealis. If the aesthetic appeal is an important concept to you, you’ll certainly enjoy the wide range of color options for the Borealis. The Borealis is the more attractive choice visually but still is a very useful, durable option.